It's been another art-filled month on the Make ART Challenge blog and we have been delighted with all of the beautiful projects that have been shared. THANK YOU!! 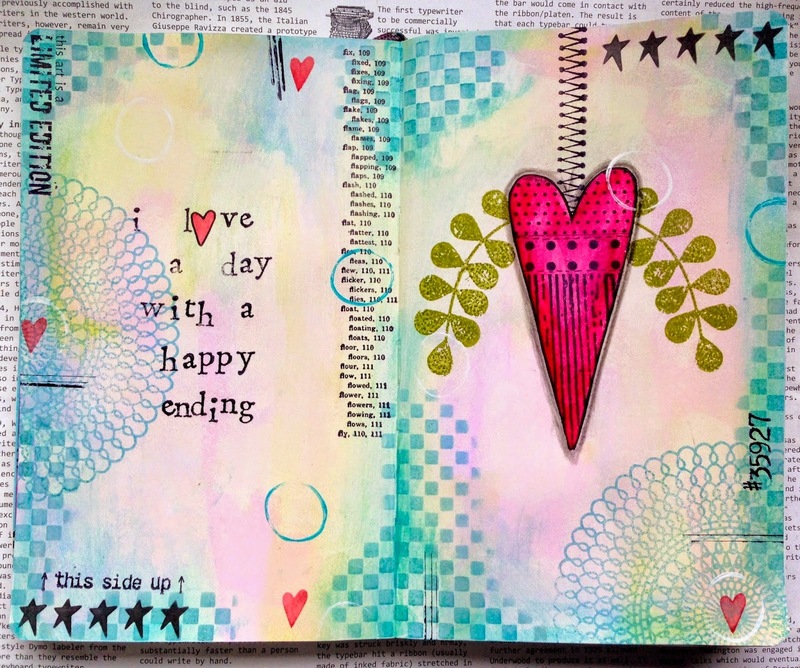 Gabrielle - Thank you for sharing your delightful art journal pages...Love them! You've won a $25 gift certificate from The Funkie Junkie Boutique! (Think of all the Wendy's goodies you can get!) Please contact me at kim@eclecticpaperie.com to claim your prize! Thanks again to everyone who participated and please feel free to share your artwork on Wendy's Make Art Facebook page. Our next challenge will be posted on Thursday, March 5, 2015. Congrats to Gabrielle! what lovely pages she created! can't wait to see the March challenge! have a great weekend Kim! CONGRATS to Gabrielle...this is really cool! THANKS to everyone who played along. Can't wait to check them all out.